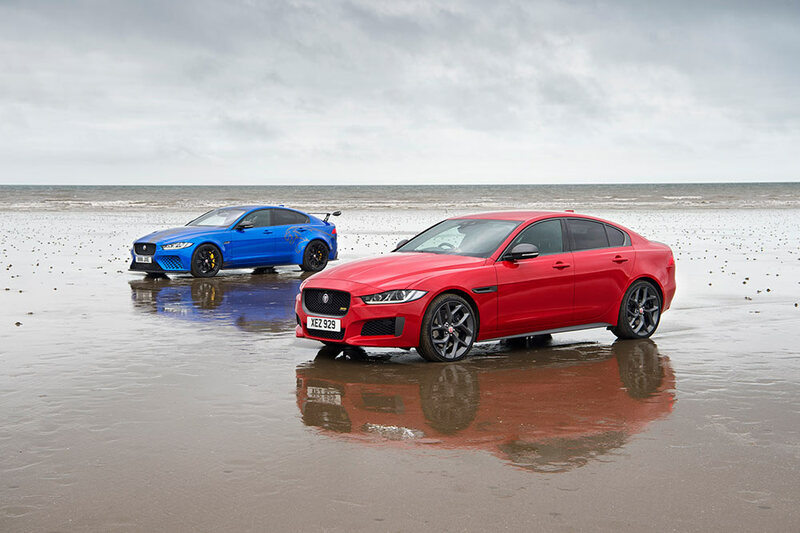 Jaguar has celebrated the shared bloodline of the XE 300 SPORT and XE SV Project 8 by creating a unique piece of art in the sand. Jaguar has celebrated the shared bloodline of the XE 300 SPORT and XE SV Project 8 by creating a unique piece of art in the sand. The two cars weaved across the beach at Pendine Sands to produce a 1000-metre long double helix pattern. The shared DNA that unites the XE and SV Project 8 includes the cars’ lightweight aluminium body structure, outstanding driving dynamics and all-wheel drive traction, which allowed the two Jaguars to create the 1000-metre long artwork with absolute precision. To find the space to create such a large pattern, the two cars travelled to Pendine Sands in Wales. Pendine Sands, like Jaguar, has a rich heritage of speed and performance, having been used for motorsport for over 100 years. The aluminium-intensive body construction of the XE enabled Jaguar to create a car as special as Project 8. 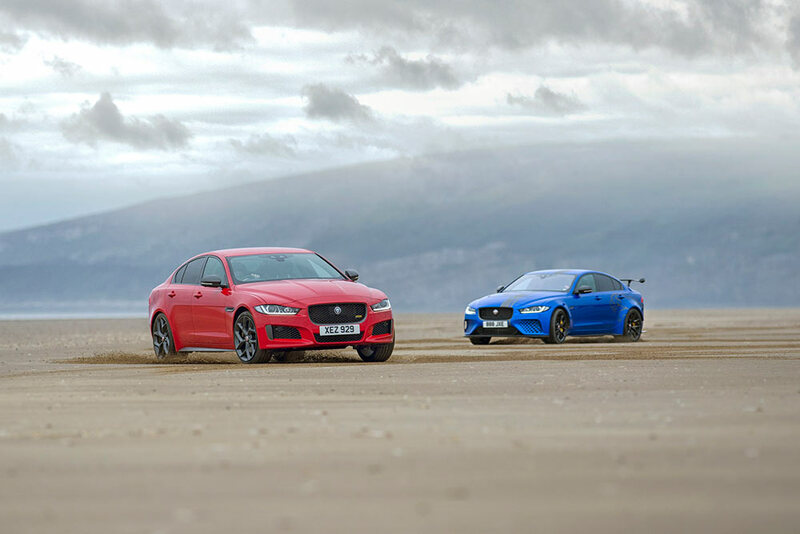 These two saloons share the same DNA, delivering excellent handling, peerless performance and unrivalled dynamics. The dynamic demonstration of precision and accuracy follows the Jaguar XE 300 SPORT’s return to the long-forgotten Circuit de Charade in France, where Vincent Radermecker set a lap record for a production saloon around the original 8km layout last used 30 years ago. The Jaguar XE 300 SPORT is available exclusively with the 300PS 2.0-litre Ingenium petrol engine and all 300 SPORT models feature unique Dark Satin Grey details including the wheels, rear spoiler, grille surround and mirror caps, along with 300 SPORT badging on the front grille and bootlid. Since its launch in 2017, the XE SV Project 8 has broken a collection of speed records, setting the fastest lap time for a four-door sedan in production-intent specification around the Nürburgring Nordschleife, with a time of 7min 21.23sec. Only last month the super saloon logged a new production sedan lap record in the USA at WeatherTech Raceway Laguna Seca, Monterey, California with a time of 1min 37.54sec.